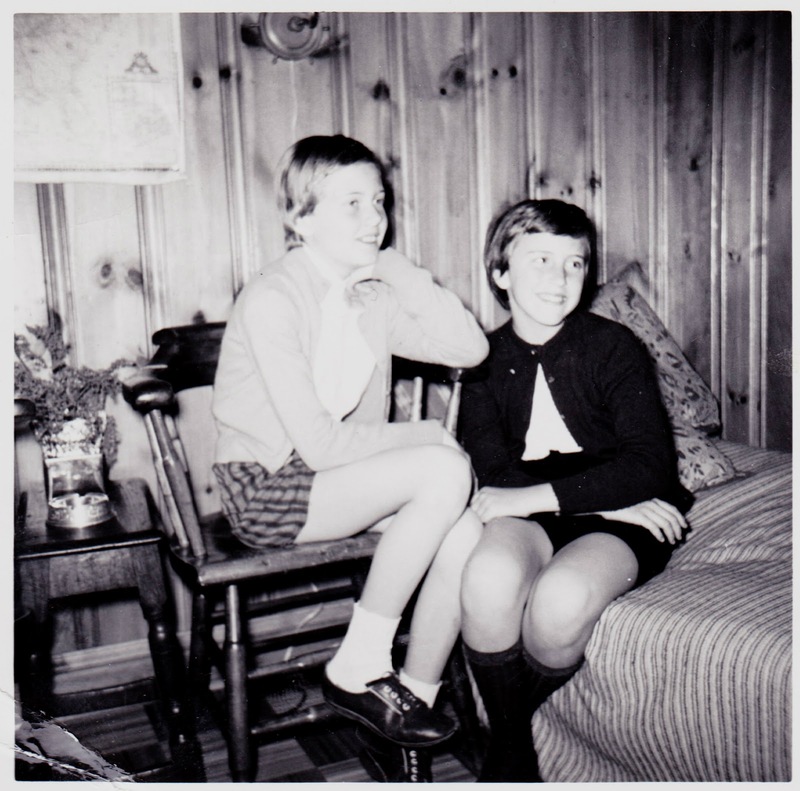 This photograph, marked as being from 1958, shows Mom (right) and a friend named Charlene sitting in the den of the family house on Oak Crest Lane in Wallingford. As I write this post, I'm sitting in the same chair that Charlene is sitting on in this photo; I've used it as the chair at my computer "desk" for a couple of years now. I think it will easily outlast all of us. Mom, meanwhile, is sitting on a mattress that might well be the same one that's currently in the guest bedroom of her house in Aspers — the house she didn't get to live in nearly long enough following her retirement and move away from Oak Crest Lane.